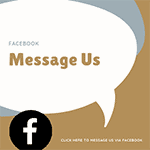 Blog | Bartok design Co. Blog – Page 9 – Bartok design Co.
Also in this case, the client contacted us in july and confirmed the order in november. If you pardon me the obviousness, july is a hot season… for hot tubs! It is a very poetic, very clean round tub. 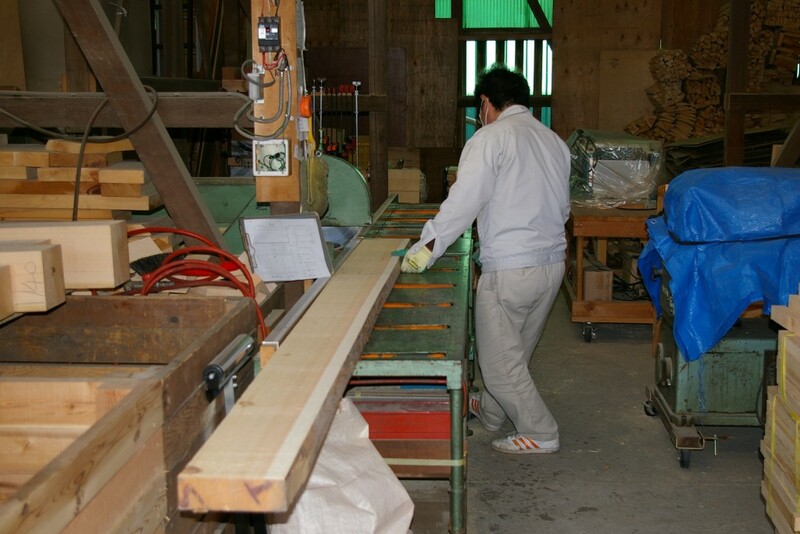 We often use sawara wood for barrel construction ofuro but the client was sure about choosing hinoki! 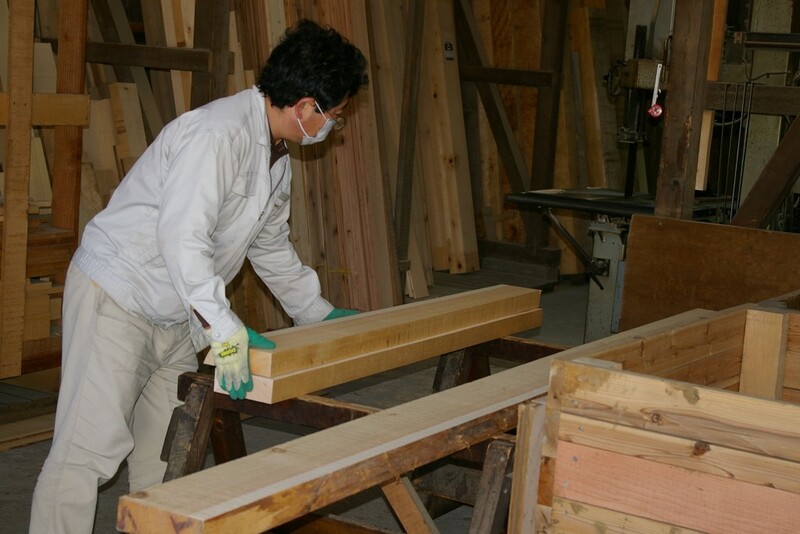 People have always enjoyed bathtubs and hot tubs as a way to relax and unwind, but more and more, the benefits offered by ofuro tubs are convincing homeowners to consider the possibility of incorporating this holistic Japanese tradition into their daily lives. With a variety of styles to choose from and the possibility of customizing a tub to suit any bathroom, ofuro tubs are a great choice for anyone. An ofuro tub isn’t about just taking a bath. Traditionally, these Japanese tubs are used after you’ve already cleaned yourself in the shower – no soaps or shampoos should be used in an ofuro tub. Instead, use the tub to enjoy mineral salts or aromatherapy oils after you’re already clean, to experience a deep soak and indulge in a meditative time of contemplation. These tubs are almost twice as deep as typical North American or European tubs, letting you sink in up to your chin to enjoy a thorough submersion into the soothing hot water. With no overflow tap, these tubs are designed, if anything, to overflow over the top and onto the floor, with a drain system installed underneath. This allows for an all-encompassing soaking experience, to help you truly relax and enjoy the many benefits ofuro tubs can offer. 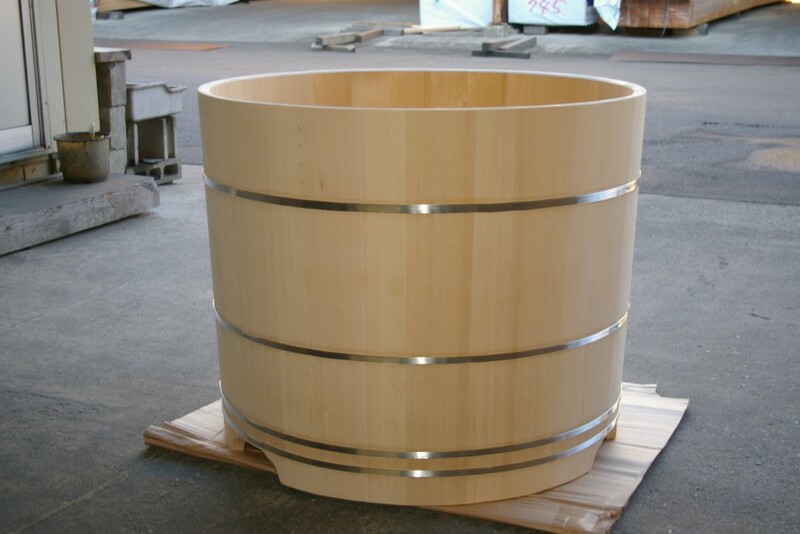 Ofuro tubs are traditionally made with hinoki wood, and Bartok Design continues this tradition. The hinoki wood features a compact grain and a therapeutic lemony fragrance, which helps users relax and enjoy the natural, holistic experience of using the tub. Bartok Design also offers tubs made with asnaro wood, another traditional Japanese wood which boasts a knotless look and is especially termite resistant. Tubs are designed to fit any bathroom style – either sueoki or umekomi. Sueoki style design has the tub positioned directly on the floor, letting the natural wood texture be a feature element of your bathroom design. 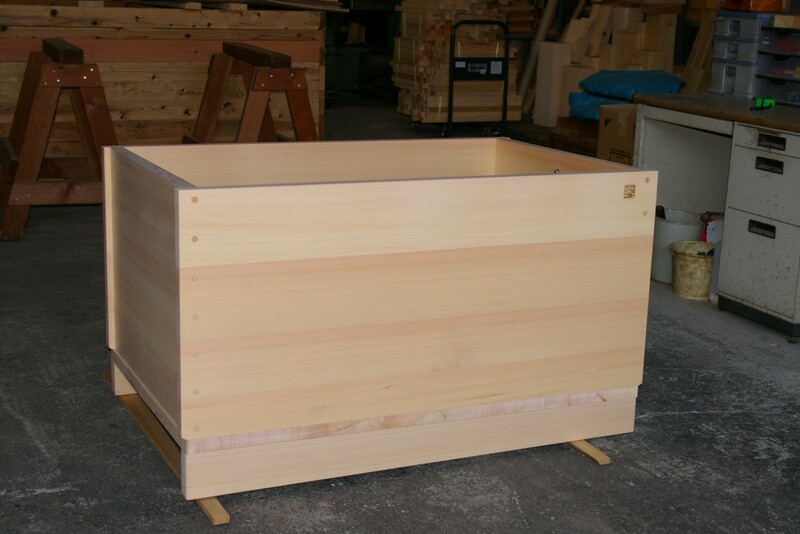 With umekomi style, the tub is recessed into a half-wall or floor, making the wood of the tub less visible from the outside – but still natural and beautiful on the inside. These tubs provide a clean and modern-looking aesthetic, making them well-suited to any bathroom design. Ofuro tubs provide a number of valuable benefits that make them an especially attractive option over a regular bathtub or a hot tub. These benefits can be achieved by a 30 minutes to one hour soak each day, following a cleansing shower. This traditional Japanese style of bathing isn’t about getting clean, it’s about maintaining your health with a beneficial soak. 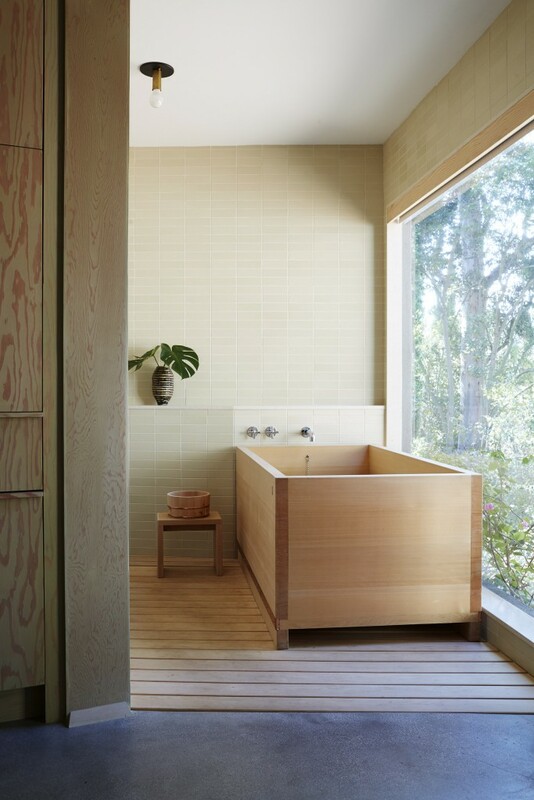 With the natural feel and scent of the hinoki or asnaro wood, an ofuro tub helps create a zen-like experience for the user. Enjoying a meditative soak will help boost your mental and spiritual wellness, making you feel more refreshed after a long day’s work. This can help reduce fatigue, relieve stress, and clear the mind. The heat from the tub and the deep submersion work together to stimulate blood circulation, which helps promote a healthy immune system and aids your body in fighting colds or influenza. Sore, tight muscles will benefit from an ofuro tub as well, since the enveloping heat can loosen and relax the body. These benefits will only increase with regular, prolonged use. The ofuro tub is a perfect complement to a healthy lifestyle. In addition to their many health benefits, ofuro tubs are also easier to care for than typical hot tubs or regular bathtubs. Since the ofuro tub is filled and drained with each use, there’s no need to use chemicals to adjust the water’s pH balance and keep it clean. Instead, you can just fill your tub whenever you want to use it, enjoy a relaxing soak, and drain it easily when you’re done. Since you won’t be using soaps or shampoos in the ofuro tub, you also won’t see any buildup or residue left on the tub after use. The many benefits of ofuro tubs make them a great addition to any home. At Bartok Design, they are happy to work with their clients to provide a perfect tub to suit your needs, so that you can see for yourself how an ofuro tub can benefit you. From pre-made tubs to custom designs, Bartok Design has an ofuro tub for everyone. Article by Jon Reyes, from Steam Shower Store. Jon is a specialist writer and has extensive knowledge in everything related to steam showers, saunas and hydrotherapy benefits. We received the first “information request” in july and immediately replied with a quotation and tub drawings. 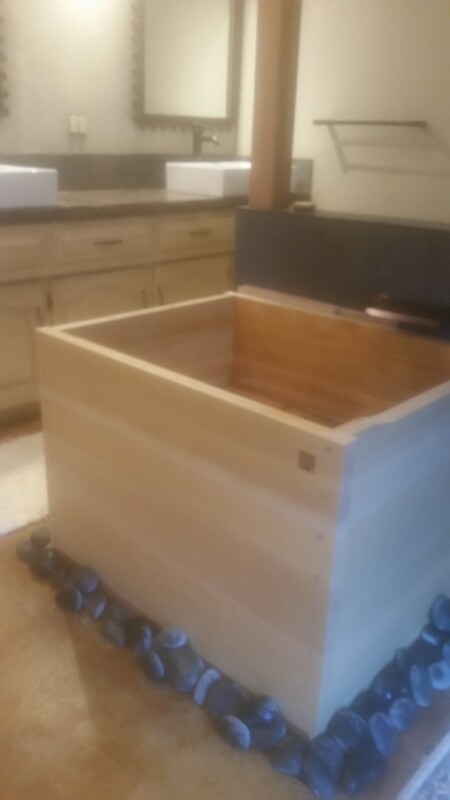 Then, the client contacted us again in november and we had a tight back and forth mail exchange about the floor slope and how the tub bottom and spout should cope with it. 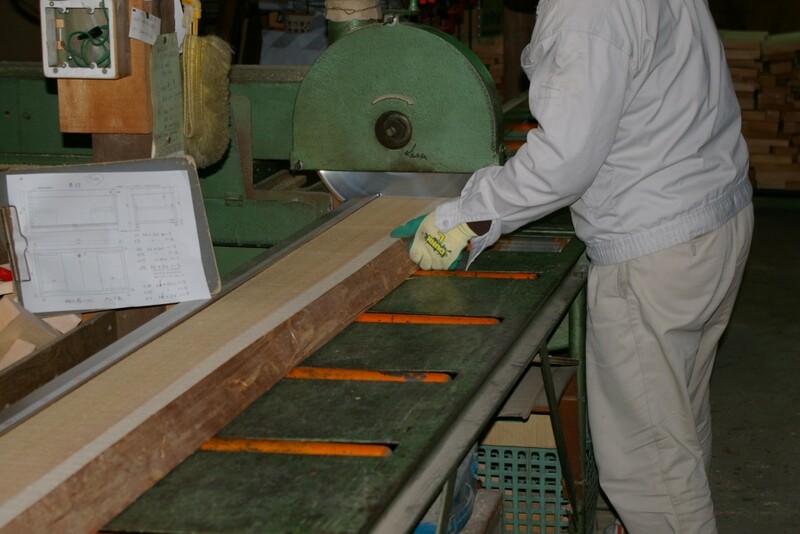 Then the order was confirmed in december and we completed and shipped the ofuro in january. The ofuro was punctually received, they opened it for the roughing of the plumbing and repacked it (for 2 months if I understand) until the bathroom construction is complete. Needless to say that the client is an architect. Very precise, very professional and the plan well structured. I always recommend to use an architect to streamline your design and the construction process! Click on (more…) here below to see the more details and the photos of the accessories. Amazing! We were featured on “The perfect bath book” by Barbara Sallick, edited by Rizzoli. See more and hundreds of other bathroom ideas at the link below!